I’m not a big fruit eater. In fact I can safely say I’m not a fruit eater at all. Unless you count the occasional raspberry in a trifle or strawberry in my champagne. It’s not something I’m proud to admit but hey, it is what it is. Coconuts on the other hand are one fruit (yes, they are technically a fruit) that I can consume in huge quantities without batting an eye lid. And I don’t just mean in a cocktail. (Who remembers Malibu from back in the day? I must say that was my drink of choice along with Midori and lemonade. No judgement please, it was the 80’s and I was at Metro nightclub dancing to Bobby Brown). As I was saying, I love anything to do with coconut. Body lotion, shampoo, soap and tanning oil. My favourite drink over summer is definitely Coconut Water and I simply adore Miss Chu’s Coconut slushies with cucumber, mint and lychee! One thing I haven’t tried until now is cooking with Coconut Oil. A girlfriend of mine swears by it. She uses it to cook with- saying her chicken schnitzels never tasted so good! She also uses it as a moisturiser for her body and face, as well as massage oil. This was definitely something I had to check out! The coconut oil I’m using is actually Raw Organic Coconut Butter. The company refers to it as butter because its texture is creamier and more buttery than other coconut oils. However it is essentially an oil. Among the health benefits it claims to have is maintaining cholesterol levels, weight loss, increased immunity, good digestion and metabolism, relief from kidney problems, high blood pressure, diabetes and bone strength. 1) Use it straight after the shower as a body moisturiser. 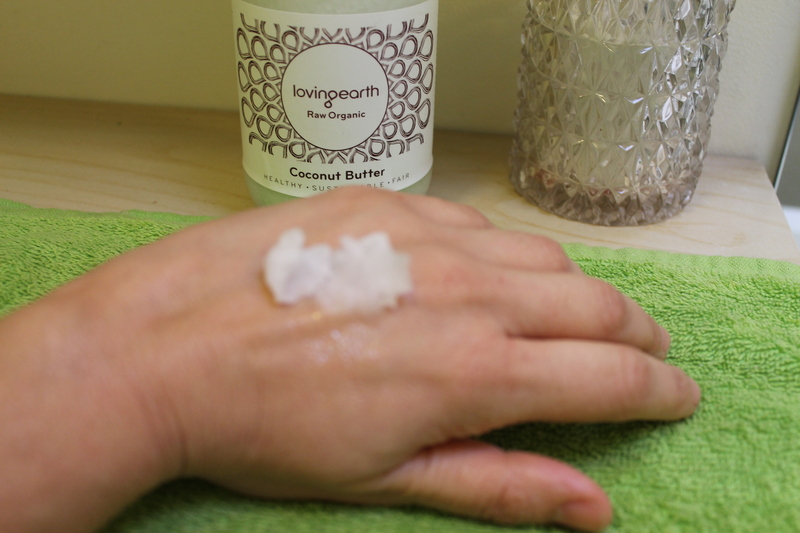 2) Replace your normal night cream for your face once a week with the coconut oil. 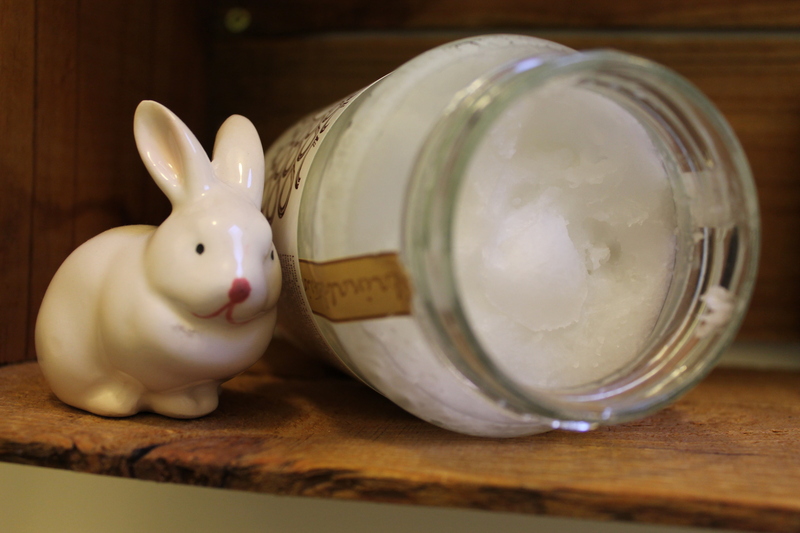 3) Use it for dry areas such as heels, elbows or nail cuticles. 4) Great to use on the ends of your hair if you suffer from split ends. 5) Mix it with some sugar and use it as a foot scrub. So far the only cooking I’ve attempted with it is to make fried eggs, french toast and pancakes. I was worried the coconut flavour would overpower the food but it really doesn’t. It’s very mild and in fact makes the food taste even better! 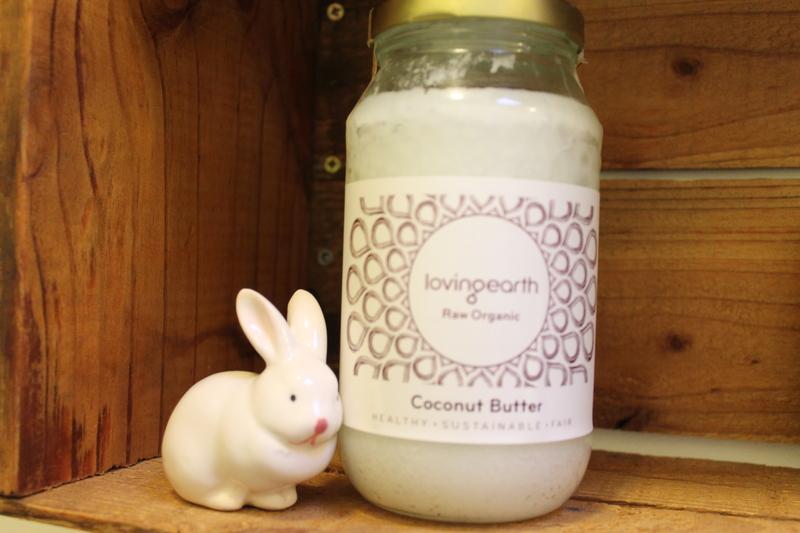 The Loving Earth butter is solid in the jar, so when you want to use it either as a moisturiser or to cook with, simply spoon some out onto your hand or straight into the pan. I must warn you though, if you’re spooning some out onto your hand to moisturise please use sparingly. You really only need a 20c piece size. Once it’s in the palm of your hand it will go from solid to liquid quite quickly. 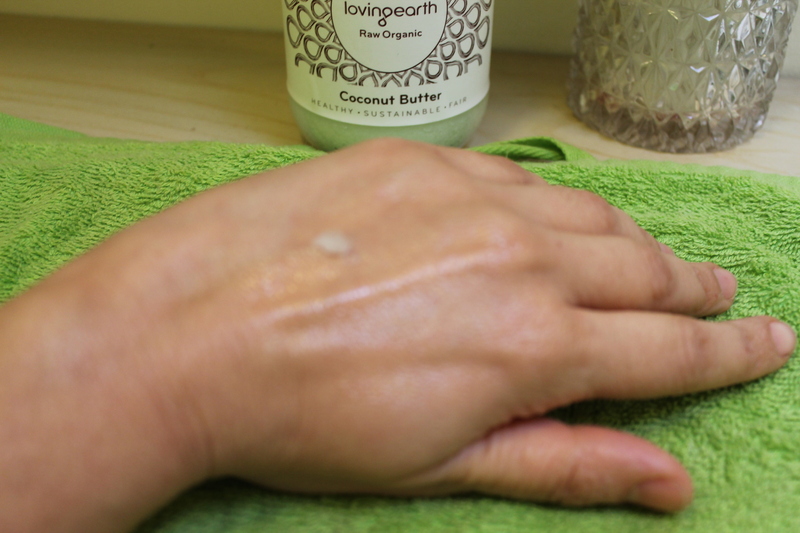 It will feel strange and quite oily initially but it is rapidly absorbed into your skin. And it smells divine! Such synchronicity! I just dug my tub out last night to give husband a massage and now that Melbourne is so Wintery and my skin is suddenly dry it will be in my weekly moisturizing rotation. I have been having daily green smoothies for the last month or so and lots of the recipes recommend it so will be trying that soon too. Mine smells strongly of toasted coconut so I haven’t tried frying with it yet, but sounds like I should!